These unique designs are the first of their kind and take natural beauty to the next level. The collection includes three stunning watches, housed exotic plants brought back to Britain by explorers, this big dial features lush botanicals and trellis details. Its glistening sunray dial is our way of making sure you carry a little sunshine wherever you go. Wear on your next secret garden adventure. 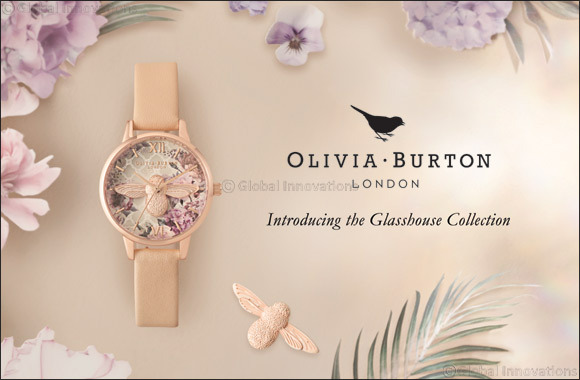 held exotic plants brought back to Britain by explorers, this big dial is all about lush botanicals and trellis details. Its sunray dial is our way of making sure you carry a little bit of sunshine wherever you go, as it glistens subtly as it catches the light. Perfect for garden parties, and housed the exotic plants brought back to Britain by explorers, this midi dial combines lush botanicals and trellis details. Its sunray dial means you'll glisten in the light wherever you go, whilst the 3D Bee is sure to create a buzz. Wear all day, every day. These designs are perfect for those wishing to bring a little mindfulness of self-love into their life, ad make for a truly thoughtful gift for someone special.